A photographer takes The Simpsons' picture, which sets off a slideshow of events from 2006 to 2013 (Homer's death in 2008, the kids beginning puberty in 2009, Marge marrying Lenny in 2009 and Jimbo Jones in 2011, Marge leaving the family in 2010, Lenny and Carl caring for the kids also in 2010, Homer being remade as a robot in 2012, and The Simpsons becoming robots in 2013). 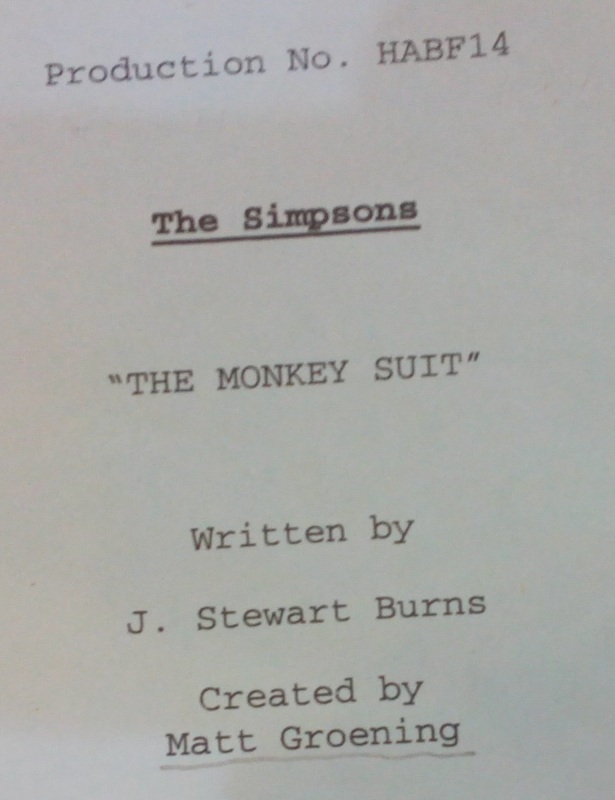 "The Monkey Suit" is the twenty-first episode of season 17. "When Ned Flanders sees an exhibit at the Springfield Natural History Museum portraying evolution as absolute truth, he and Reverend Lovejoy form a plan to teach creationism in school and discourage evolution. Soon Lisa is the only one left in town who has the courage to teach her fellow students about the works of Charles Darwin, and she's soon arrested and put on trial for doing so. 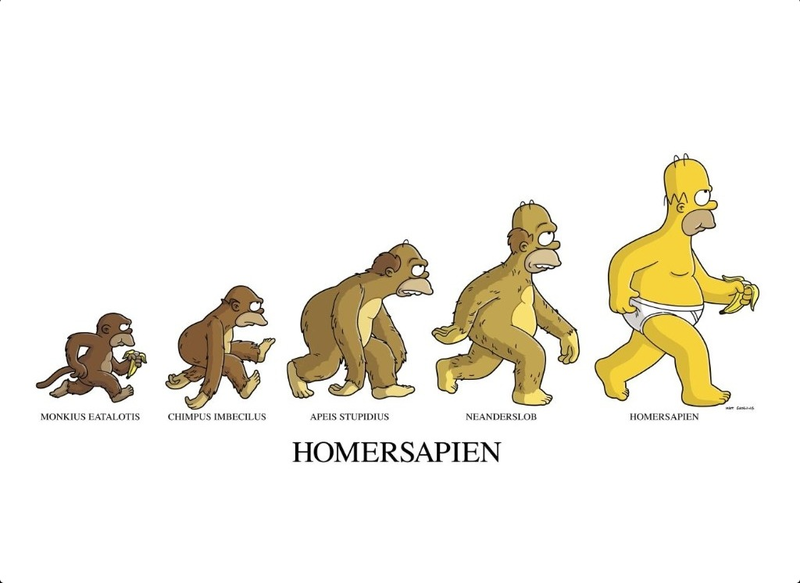 The court sees Homer as the "missing link"." Bart decides to spend his last day of summer well. When he and his family go to the museum they cut in front of Flanders. He goes to the evolution exhibit. After visiting the evolution exhibit, Ned Flanders pushes Mayor Quimby to appoint Reverend Lovejoy as a "Morality Czar" in charge of spreading the theory of creationism. Lisa tries to point out that schools cannot teach conflicting theories of man so the town bans one, unfortunately not the one she wanted. Darwin's theories are quickly outlawed and Lisa finds herself and a small band of classmates as the only supporters of the scientific theory. All scientific buildings are destroyed (including a religious science building). Lisa is later arrested for holding secret evolution classes and is forced to defend her beliefs in front of a judge with the help of a hated New York lawyer while being prosecuted by a beloved southern attorney. In the 11th hour, Marge stumbles across Lisa's copy of the origin of species which she is drawn deeply into, after reading it she changes her view and helps her daughter to call Ned Flanders to the stand. She gives Homer a bottle of beer, Homer is ecstatic but becomes increasingly agitated when he can't open it, eventually acting like a monkey. 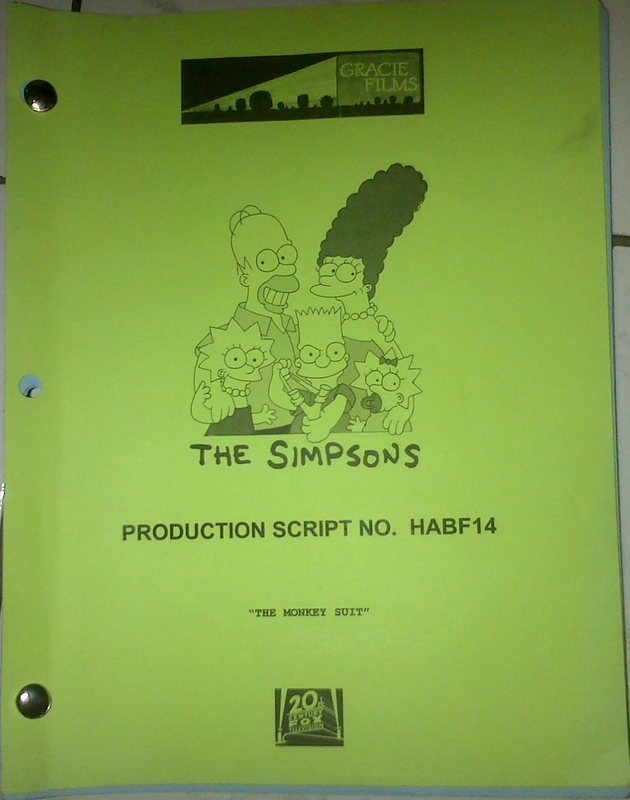 Homer’s antics cause Ned to crack under pressure and call Homer a 'Monkey faced Gorilla' in front of everyone which Lisa's lawyer capitalizes on by forcing Ned to admit that Homer does indeed look like the missing link that the prosecutors were basing their argument and the case falls apart. In the end Lisa comforts a dejected Ned by saying that she respects his beliefs but that science and religion should stay separate, that she wouldn't want a scientist to teach religion anymore than a priest should teach science. Something which Ned can agree with. After that Todd reveals himself to really to be Nelson in disguise. Modified on May 14, 2018, at 17:16.